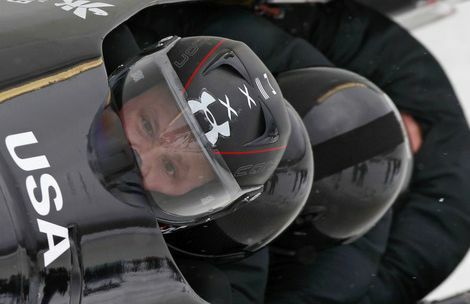 Steven Holcomb • Degenerative blindness nearly pushed Utah native over the brink. 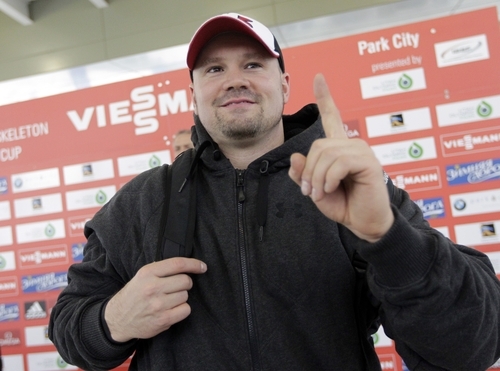 Park City • Alone in a hotel room, Steven Holcomb couldn&apos;t see the point of going on. The man who would become the greatest bobsledder in American history was slowly going blind, deeply depressed and fearful that he was putting his teammates at risk every time he raced a massive bobsled down an icy track. He was equally repulsed by how easily he was keeping it all a dark and dangerous secret. It finally reached the point, he said, "where it just didn&apos;t feel like it was really worth it." That&apos;s when Holcomb  now the defending world and Olympic champion who snapped a 62-year gold-medal drought for the U.S. in the four-man bobsled at the 2010 Vancouver Olympics  tried to go to sleep forever. The bombshell confession contained in Holcomb&apos;s forthcoming book, But Now I See: My Journey From Blindness to Olympic Glory, illustrates just how badly he was suffering from a degenerative eye disease five years ago. The broad strokes of the story are widely known; Holcomb was nearly blind by 2007, and had planned to retire from bobsledding before a doctor&apos;s revolutionary medical procedure restored his sight and kept him on the path to Olympic history. But he had never admitted the depth of his agony until now. "It&apos;s a very humbling story for me to tell," he said Friday, his voice cracking as he fought back tears. "It&apos;s hard for me to talk about it." 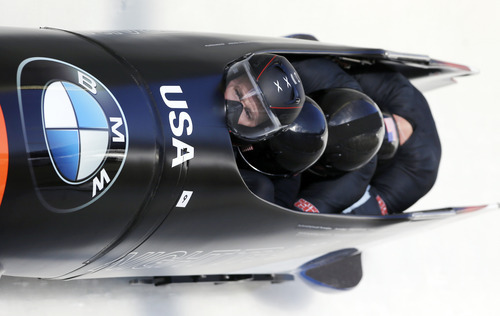 On his home track at the Utah Olympic Park, the 32-year-old Holcomb won his second straight two-man bobsled race to start the World Cup season on Friday, contributing to a fantastic start on home soil for the U.S. Bobsled & Skeleton Federation. But it never would have happened if Holcomb had stayed asleep that night in Colorado Springs. After a night of schmoozing with donors and growing ever more disgusted with his own deception, the Park City native shoveled 73 sleeping pills  he counted  into his mouth and washed them down with the last of the liter of Jack Daniels he&apos;d been drinking. He intentionally did not leave a suicide note, he wrote in his book, and "thought I would sleep forever" as he slipped into unconsciousness. "I wasn&apos;t supposed to wake up," he said. And yet ... he did. Holcomb counts it as a miracle that he woke up under a blanket the next morning as if nothing unusual had happened. No amnesia. No hangover. Only a clear vision that he had been given a second chance, and that he needed to finally come clean to his coaches, family and teammates. "It&apos;s a mindset you don&apos;t understand unless you&apos;ve been there," he said. "Even looking back, it&apos;s like, &apos;Wow.&apos; I remember being there, and it made sense then. But obviously, I&apos;m glad it didn&apos;t work out the way I planned." Holcomb said he thought it was important to finally tell the full story of his battle with the corneal disease keratoconus, and what it did to his life before heralded opthamologist Brian Boxer Wachler corrected it in early 2008 with a revolutionary treatment that did not require surgery. He also wanted to call attention to the dangers of depression, especially after American aerials skier Jeret "Speedy" Peterson shot himself to death in Lamb&apos;s Canyon near Park City last year, after battling alcoholism and depression. "When you&apos;re in that mindset, it feels good to feel bad," Holcomb said. "And it&apos;s hard to overcome. People don&apos;t realize. It&apos;s not just, &apos;Oh, I&apos;m having a rough day. I feel bad. I&apos;m unhappy.&apos; It really is a sickness, and you can&apos;t just think your way out of it." Holcomb has enjoyed his greatest triumphs since his failed suicide attempt and subsequent vision correction  including winning the historic Olympic gold in Vancouver, the year after winning the first four-man world title by an American since 1959. 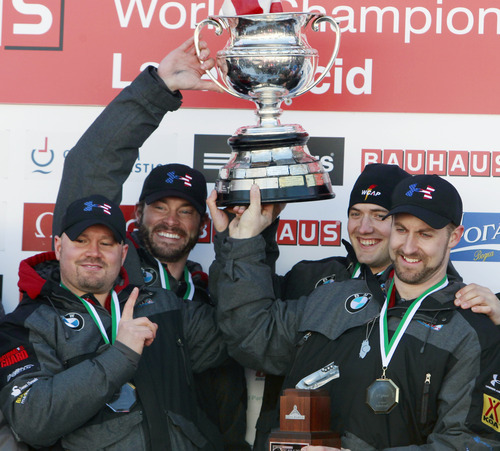 Holcomb also won the two-man and mixed-team world titles last season, and is off to a tremendous start this season. In a show a depth, Holcomb has won both two-man races so far with different brakemen  Steve Langton and Curtis Tomasevicz  and different sleds, and finished second in the four-man in Lake Placid. The four-man race here is still to come Saturday, and another gold could help Holcomb eclipse his best start to a season, when he was driving mostly by feel and won three straight silvers before sweeping the golds in the fourth race of 2006-07  not long before the night that changed everything. "I&apos;m really excited for people to finally get the full story," he said. "Everybody knows that I had an eye disease that I overcame and went to win a gold medal. But they don&apos;t know everything behind it, so this is a good opportunity for people to really see what it was like." Bobsled pilot Steven Holcomb&apos;s book recounting his journey from near blindness and depression to an historic Olympic gold medal is due to be officially released Dec. 4. It&apos;s already for sale at the Utah Olympic Park, though, and can be ordered on many retail web sites.